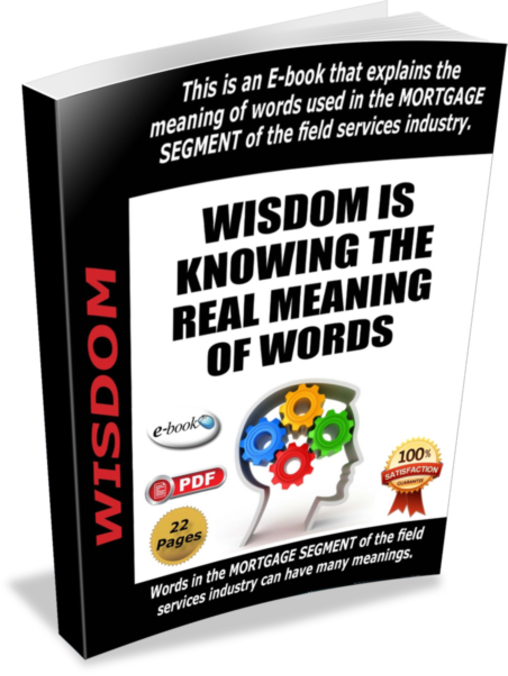 The Mortgage Segment is the home of low-fee inspections and 99.5% of the fraud, greed and corruption in the industry. The Mortgage Order Mills offer a huge number of $3 mortgage inspections and tell you that you will grow rich with these inspections. To start, you need to pay upfront about $1,265 for a background check and insurance. The profit is “maybe” $1.50. It will take about 843 inspections just to pay for the upfront costs. You may have to wait 60 days for the first paycheck. On the day that they hire you, they start looking for your replacement … someone who will do the work for a lower cost. When your replacement is found … you are gone. Watch the video … don’t miss the ending. The video summarizes mortgage inspections in less than 2 minutes. Don’t let the Mortgage Order Mills dress up the opportunity and then deliver unexpected results. Perhaps I need to add to this book. Email me your comments on what needs to be added.